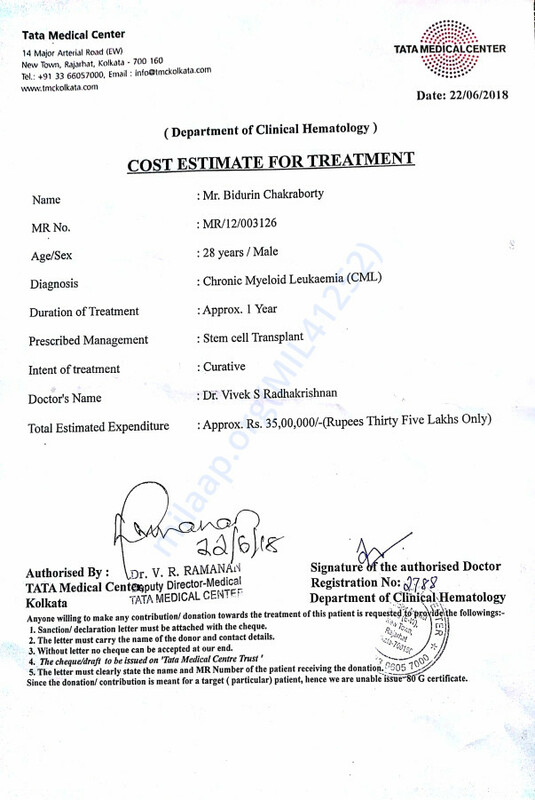 Help Bidurin Fight Blood Cancer Which Has Relapsed After 20 Years. Our childhood friend, Bidurin, has been diagnosed with blood cancer, again. Yes, again. He had the experience of fighting this dreadful disease when he was only a 8 year old child in 1998. He underwent BMT operation then and he recovered after a prolonged painful stay in hospital which costs them a lot of money.He was leading a happy,peaceful life with his parents and his life-saver baby sister, whose bone sample was used for his BMT. He got married in 2016 December to his childhood love and the lovely couple hoped for a happy life. But as bad luck would have it, after 20 years, cancer re-occurred in April,2018 and he needs another BMT within 2 months from today. 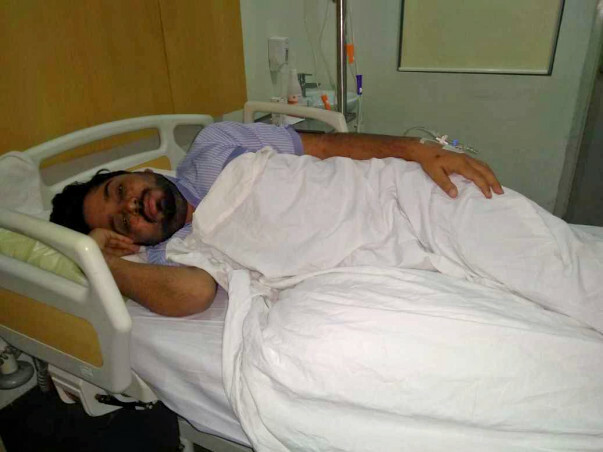 He is undergoing treatment at Tata Medical Centre, Kolkata. The approximate cost of operation is Rs.3500000( Rupees Thirty Five Lakhs). He has been a fighter throughout his life but he needs our support more than ever now. Its a humble request to all of you to please donate whatever amount you can to save our friend. Thank you everyone for your generous contribution towards our campaign. As we had mentioned in our earlier updates, the team of doctors were continuing the medication (oral chemo) on Bidurin and he was responding well. Currently, the percentage of affected cells stands at 0.9%. The team of doctors, after doing rounds of discussion, have agreed to continue the medication till the percentage reach 0.1%. Then, they will perform a series of mini BMT. We will keep posting periodic updates. Keep your prayers on. Thank you! Bidurin's transplant was postponed as there were some medical issues during a recent check-up which was treated. He will undergo a few recipient tests for the Bone Marrow transplant and depending upon the results, it will be conducted by November end or December beginning. His sister is the donor for the transplant. He is doing better now. Kindly share the campaign and pray for his health. Will keep you posted. Thank you everyone for your enormous support. Bidurin has responded well to the oral-chemo which has been provided to him since last two months. . 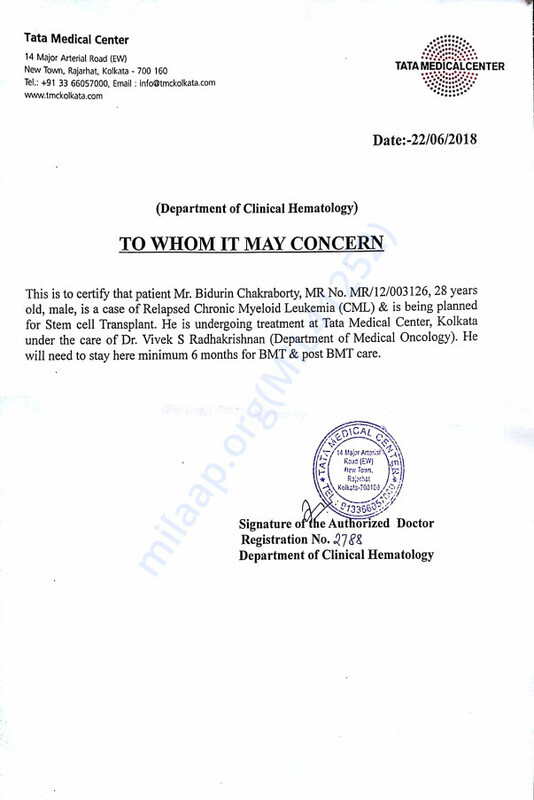 He will be undergone specific BMT related tests on 11th October and based on the test result, which is expected to arrive within 15 days, the doctors will operate either on last week of October or 1st week of November. We would like to say this to everyone who is receiving this update to wish him a speedy recovery.